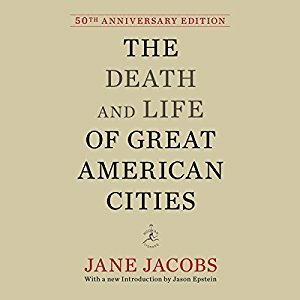 Please join us on Tuesday, January 22 for our winter book club discussion on The Death and Life of Great American Cities by Jane Jacobs. The Death and Life of Great American Cities is a direct and fundamentally optimistic indictment of the short-sightedness and intellectual arrogance that has characterized much of urban planning in this century. Jane Jacobs writes about what makes streets safe or unsafe; about what constitutes a neighborhood, and what function it serves within the larger organism of the city; about why some neighborhoods remain impoverished while others regenerate themselves.